I absolutely will be purchasing this floss again. Even though I know it's in important part of oral care, I've always hated flossing. I have a few teeth that are very close together, and getting dental floss stuck in between them is unpleasant. I've tried plain floss, waxed floss, flossing picks, you name it, but I still struggled to use any of them. Crest Glide Dental Floss is the only one I've ever tried that doesn't get stuck. With it, I can floss my whole mouth without having to unwrap the dental floss from my fingers periodically to release it. Flossing is much quicker and easier with Crest Glide, which makes it far more likely that I'll do it regularly. Also, I like that it's unflavored, so I don't end up with a waxy mint taste in my mouth when I'm done. My only qualm about using Crest Glide Dental Floss is that it's not the most environmentally-friendly option, because it is made with Teflon, so I try to use it efficiently and I'm still considering more natural alternatives. There are so many flosses out there that are completely garbage. Sure, they are cheap, but I really don't know why they are even sold at all. Then, there are better flosses... Crest Glide Floss is one of those, most definitely. 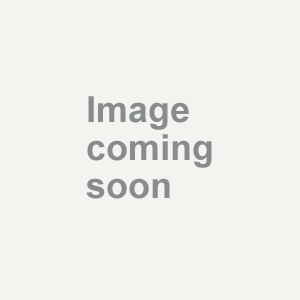 I have trouble fitting most flosses or flossers between my tight fitting teeth. My mouth is full, and I don't have a whole lot of room for floss in it, but this floss fits. The pros of this floss versus others: This floss is made from a plastic like material that makes it truly "glide" between my teeth. Other flosses are made of multiple threads, but this floss is solid. This floss never gets stuck between my teeth, while other flosses do. This floss doesn't break on me like other flosses tend to. The one con of this floss in comparison to others out there: This floss is a bit pricey - though I have found it well worth the extra money. Overall: I like this floss, I can't imagine going without it. Crest Glide Dental Floss is effective and get's the job done! Crest Glide Dental Floss is the greatest. I received a coupon in the mail for this floss and decided to try it. It is a bit on the pricey side but it is well worth it in the end. I can trust Crest Glide Dental Floss to keep the food and potential plaque out of my teeth and away from my gums. If used consistently this dental floss will keep the dentist away longer and it helps me save money while doing it. I use this dental floss at least two times a day and sometimes more. I have been depending on this brand for the past few years at the recommendation of my dentist. I went from seeing my dentist once every six months to seeing him every year. This Crest Glide Dental Floss has contributed to my overall dental health, it has saved me tons of money in dental bills. It really doesn't get any better than this Crest Glide Dental Floss! I am about to go use mine right now. I would greatly recommend to anyone, go out and try this floss, you won't regret. Crest Glide Dental Floss is Great! 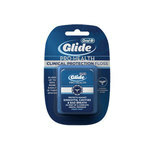 I have used Crest Glide dental floss for many years, and it is by far one of my favorite flosses to use. Flossing is very essential to clean teeth and gums, and having a floss that is easy to use and works well is imperative. My dentist gives me a pack of this floss with every cleaning that I get, so I know that it is also dentist recommended. I like it so much better than the waxed string type of flosses out there. This kind really does just glide between your teeth and gums better and leaves them feeling very clean. It is very easy to get food particles out of my teeth with this floss as well. The mint flavor is very subtle and does not leave a weird taste in my mouth. As far as flosses go, I really like this Crest Glide floss. The price is also fairly reasonable for the product type and functionality. I would definitely recommend trying this floss, especially if you are a person who has a hard time getting into that routine of doing so. This floss makes it easy! My teeth are close together, which makes using regular dental floss a chore. It tends to get stuck between my teeth and shred as I'm trying to pull it out. My dentist recommended Glide floss in order to solve that problem. I was a little skeptical until I tried it. This floss works so much better for me any any other floss I have used. The flat surface fits smoothly between my teeth, without getting stuck and shredding. It also does a great job of getting out any food particles that are there. It has taken me quite a number of years to become a regular at flossing, but I can say that this brand of floss makes establishing the flossing habit a lot easier. I do wish it would come in cinnamon flavor, but that is hardly a complaint. The other thing I like about it is that a package will last a long time. I was wasting a lot of the regular floss because I kept having to get new pieces out because of problems with them ripping apart between my teeth. Because I waste less of the Glide floss, this helps offset the fact that this brand tends to be a little more expensive than the generic floss. I was given a free sample of Crest Glide dental floss by my dentist two years back and the sample lasted for less than a month. I did not like the taste of this dental floss and it used to often come in contact with my gums and cause bleeding which was really bad and painful for me. It used to clean the food stuck between the teeth well but I had to take a lot of care while using it. The dental floss works like a tape and it used to often break while flossing which is not a good thing for any floss. I never purchased this product as the sample was not good enough and I preferred buying another branded product than using this one. The price is also high compared to other brands. I have heard many others who have not had any problems but in my case, it was a negative one. 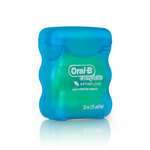 For me, I love Oral-B dental floss any day compared to this brand and will not recommend this product to anyone. I have the most crooked teeth on my bottom jaw and have always had difficulty trying to floss between them. The dental floss would always get stuck and make my gums start to bleed. Now that I am older, they have straightened out a little bit and are easier to floss. 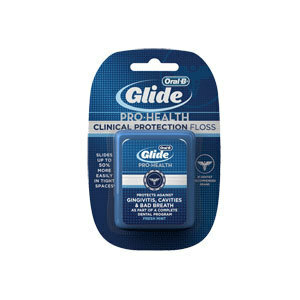 I hate traditional dental floss so I bought the Crest Glide Dental floss hoping that it would do just that and glide easily. It did. Because the floss itself is narrower than others, I was able to comfortably get in between spaces that I could not before. It has a great taste and left my mouth feeling cleaner that it has in a long time. I love the convenience of having this product in my bag to freshen up before meetings and school. My son is six and is still not able to use this product but Crest does make alternatives for him. 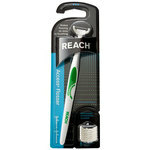 I have been looking for a floss product that I can use for years, I am so glad that I found this floss. I am now able to care for my teeth and gums the way I need to. I would recommend this product to others. Great product at an affordable price. The only reason I gave the Crest Glide Dental Floss a nine and not a ten because at times it glides a little too easily and doesn't get everything between my teeth. I can notice when this happens though and I just go back over the area with another piece of floss. I love the cool mint flavor and it makes my daily dental routine complete. It leaves a light mint flavor in my mouth, not too strong, yet noticeable. This floss doesn't shred or break or get stuck between my teeth like cheaper brands do. 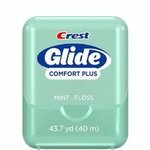 Crest Glide costs a little more than other floss on the shelves, but it's worth every penny. I always keep a package of Crest Glide Dental Floss in my purse when I leave the house. The package is compact and not noticeable if I pull it out to get a piece while out at a restaurant. This floss doesn't hurt my gums and is thicker than most flosses. Even though it's thicker, it glides easier between teeth and cleans them thoroughly. Both my elderly mother and I have teeth that are set closely together. Most dental flosses shred in our mouths, leaving bit of stringy waxy gunk to try to get out or to live with. Needless to say, I hated flossing as a child and teen. But, when someone gave my Mom a pack of Crest Glide, we were both amazed to discover that it didn't shred in our teeth. As my mother is not a fan of mint, she was even more pleased to discover that it was offered without mint flavoring as well. I have heard this dental floss being compared to flossing with silk, and I would have to agree. It slides between teeth very easily, and doesn't leave shreds or an odd waxy residue/flavor behind. Also, the unflavored variety doesn't have the odd chemical or waxy flavor that many other flosses have. It is more expensive than most other brands. But, as it doesn't shred, I've found that I only have to use one piece per flossing session rather than multiple. So in the end it saves me money over all but the absolute cheapest brands. It would be nice if they had a cinnamon flavor, but for a floss that works, I'll settle for mint.